Coalescence is the unification of separate segments to form a single segment. Similarly, businesses today are not dependent on any one function, they are an amalgamation of Finance, Marketing, Operations, Consulting and IT. It is a conclave for Finance, Marketing, Operations, Consulting and IT where top level industry leaders, corporates, consultants are all brought onto a single platform to discuss business management to enrich not only our knowledge but give us an idea of the trending technology and the impact it has on the current business scenario. To mark this occasion we had with us eminent guests like Mr. Ajay Rastogi, Managing Director and Business Head, Deutsche Bank, Mumbai , Mr PV Ravi Kumar, AVP, Maruti Suzuki , Mr. Aditya Verma, VP/Global Head, Logistics, LAVA , Mr. Mayank Pandey, General Manager, Castrol , Mr. Anupam Kapoor, Associate Vice President, Myntra , -Mr. Mansingh Jaswal, Director and CEO of GenEx Logistics , Sukumar Narsimha, Senior Vice President for Operations, Reliance Industries , Manish Kumar, Chief Digital Officer, Red Chilies Entertainment and Kolkata Knight Riders , Apurv Nagpal, Author of Eighteen Plus , Amit Singh, Associate Director, PwC and many other such esteemed guests. The event lasted for three days during which the student body was able to gather information panning from fields of Consulting, IT, Marketing, Operations and Finance through content rich panel discussions and key note speeches. 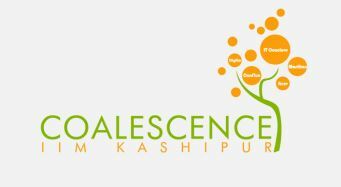 All in all coalescence was an event like no other which managed to garner and gather the best brains from the industry for the pan purpose of enlightening the young and able minds of IIM Kashipur. Now the hour glass is inverted and all is set for one of the most prestigious events in Indian business school Eco-system. Coalescence will start from 9 am on 18th September and for three days IIM Kashipur will be home to some of biggest corporate leaders like the Director of Flipkart, senior vice president of Reliance Industries. Needless to say what better opportunity will students of a B-School get than directly interacting with the leaders of the industry!. The immense first hand, practical and proven business knowledge that students can receive from the dignitaries is price less. IT Conclave is an annual event based on the latest IT trends. It is the second edition of the event and it will include a panel discussion. Last year, the conclave saw top leaders from the industry and this year too, the eminent speakers include leaders from Microsoft, Tata Consultancy Services, Max Life Insurance and Valiance Solutions will present their views on the topic. Digigo is the annual marketing event organised by IIM Kashipur. It is the third edition of the event. Digital Marketing, which reaches customers interactively through web, mobile and social media, is in rapid ascendance. But not all companies have embraced the creative opportunities that digital marketing offers. The speed and the spread of digital media have become an important factor in setting up or destroying the brand. The guests will include Mr Appurv Nagpal, an IIM Ahmedabad alumni with rich corporate experience at British American Tobacco, Reckit Benkiser and SABmiller, Mr Makarand Kulkarni, Associate Director Marketing at Sanofi and Ms Ashita Sarin, Senior General Manager, Marketing, DY works. NEEV is a flagship Symposium on Operations Excellence conducted annually by IIM Kashipur. It is the fourth edition of the event and it will entail a brainstorming on the theme “Logistics-Key to sustainable growth.” The event will present a keynote address by eminent industry leaders followed by a panel discussion on the issues related to Logistics and the way forward to solve them. Corporate leaders from Barclays, Gartner, Bain & Company, Dabur, Dassault Systemes, Deloitte, HewlettPackard, Himalayan Group, Hindalco, Mahindra & Mahindra, Motherson Group, Oracle & Tata Motors have been associated with Neev in the past. This year, the dignitaries include top leadership from Flipkart, Myntra and Reliance to name a few. Manthan is an annual Finance Summit organized by IIM Kashipur to provide a platform for state of the art discussions on the current state and future direction of the Indian economic reforms. It will be the fifth edition of the event. 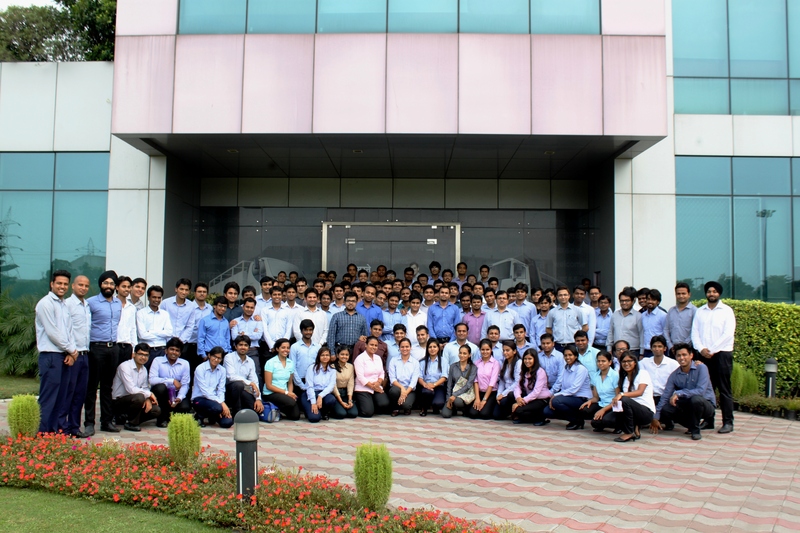 Some of the guests that are likely to attend are Mr Ajay Rustagi, MD, Deutsche bank and Mr Rishikesh Shintre, Founder and Partner, Mindspring Advisors Pvt Ltd.
6TH SEPTEMBER 2015 marked the first official visit of IIM Kashipur batch 2015 – 2017 to the Ashok Leyland plant in Pantnagar. After a brief introductory presentation we were welcomed to the new age plant which housed the latest in technology and processes, this fully integrate plant (established in 2010) manufactures all future-gazing products across trucks and buses. Spread over 200 hundred acres of land and with an annual annual capacity of 70,000 vehicles, the plant also produces aggregates such as engines, gear-boxes and axles. We saw the robotic hands perform complicated procedures such as spot welding with ease precision and agility. The plant was established four years ago and has the capacity to roll out a vehicle every 5 minutes. Their flagship programme ASHIRWAD to give 12th pass students free education and then induct them in the programme was heartfelt touching and very challenging. They go to remote villages and recruit these children and bring them to their state of the art education center which is within the main campus. A holistic learning which includes onsite training with theoretical knowledge is implemented in the teaching practices here. The enriched knowledge will always remain with us but moreover we will never forget the brilliance of work ethics and culture shown by this mesmerizing plant. Human resources need constant development to keep them abreast with the ever changing technology. 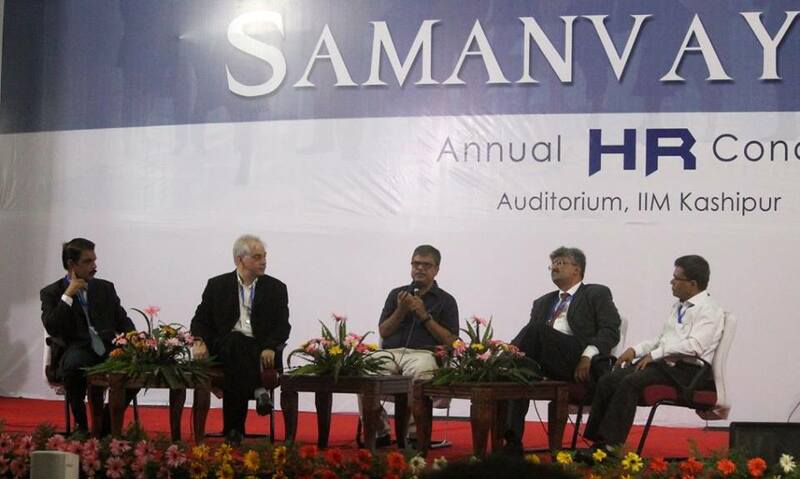 Indian Institute of Management, Kashipur organised its annual HR conference, Samanvaya 2015 at the college auditorium. Eminent personalities from the world of HR graced the occasion. The event started with a welcome speech from Dean (Academics) Professor Somnath Ghosh and he emphasized on how academia and industry should interact and complement each other. The event started with a keynote speech from Mr. Abhishek Tiwary (Director HR, KPMG) on the theme – “Challenges of developing a learning culture: Indian context”. He talked about the companies should consider thinking about Return on engagement and not just return on investment. “You are responsible for your own learning. So make it happen now! Don’t wait for someone else to tell you what you should be learning next”, he said. His enlightening speech was followed by a panel discussion on the same topic. It was moderated by Professor Kampan Mukherjee, IIM Kashipur. Mr. Rajeev Gupta, Managing Director – Resource Development International India Pvt. Ltd.
Mr. Nikhil Sachan – Director Digital Strategy, ET Media labs. Mr. Bharat Grover then presented his summarising lecture on the topic. The event was a huge success as it served as a mode of interaction between the students and the experienced corporate professionals.